Now that I am somewhere nearer the equator, I definitely miss the four Seasons - Fall, Winter, Spring, Summer. I can neither buy them nor import them :( It is officially Fall/Autumn in the US. How about some mild spicy curry with some APPLES to celebrate Autumn and its colors ? I adore the colors of golden hue during Fall/Autumn in California (miss it so much...) and the cooling temperature it brings along. I like potatoes in my chicken curry. If you think it is too much "starch", here's what you can try. The healthy but not-as-nice version. Apples, yes. Hahaha....AP-POOLS...as how some kids pronounced it. 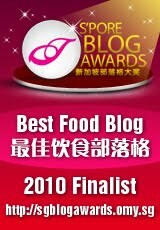 This is a bookmarked recipe from a Chinese TV cooking show (in Taiwan). 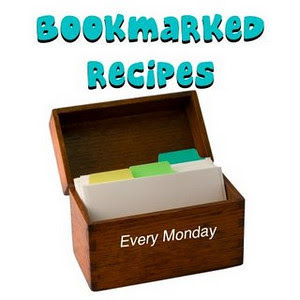 I'm trying it for Bookmark Recipes, hosting baton is back to the creator/host Ruth's Kitchen Experiments this week. I cooked this one day...for the reason that I had apples and no potatoes at that time. This dish obviously targeted at young kids since apples will bring some sweetness and a little (really a little) tangy factor into an otherwise spicy dish. Hmmm....don't kids like potatoes? Maybe it was the parents' idea to sneak in apples into a kid's dish. I don't know since I don't cook for kids. I'm just trying to say...if I were a kid, I would like potatoes in my chicken curry, please. 4. Add in apples the last, mix well and allow simmer for 3-5mins.